The right hat or head band completes the outfit! The latest accessory patterns in the Stitchwerx Designs Etsy Shop are sure to help you create the perfect look for your little girl. Actually, all these patterns range from child to adult sizes, so you can sew accessories for yourself too! The picture to the left is an excellent example of how head wear really add a special touch to an outfit. Keeping it casual and comfortable while still being totally stylish is what these ensembles are all about. If you like this look, go for the pattern bundle at Stitchwerx Designs Etsy Shop! 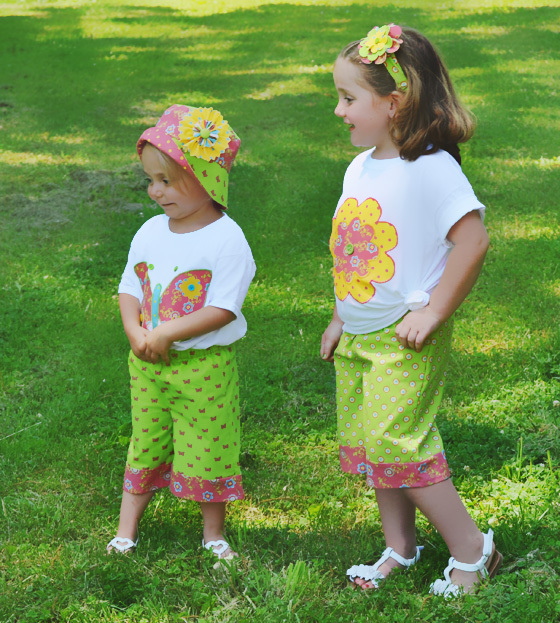 These outfits can be completed using Pants/Capri Pattern S104, Summer Days Bucket Hat Pattern S107, and Country Garden Headbands and Bows Pattern S105. The T-shirt applique designs come FREE with the Pants/Capri Pattern. 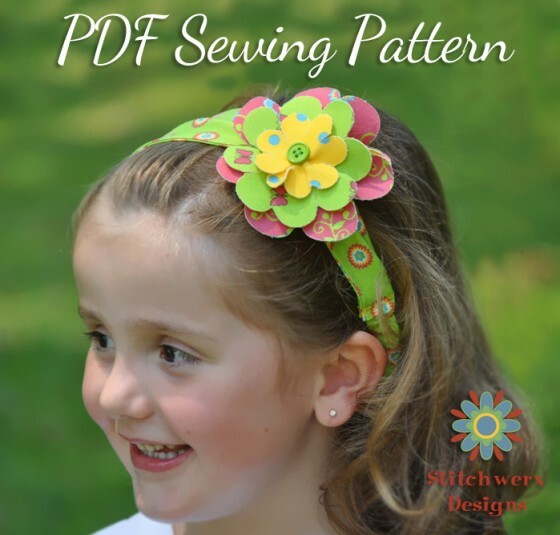 The Stitchwerx Designs Country Garden Headband and Bows pattern is a really versatile design. It comes in two widths, child to adult sizes, with six flower bows. 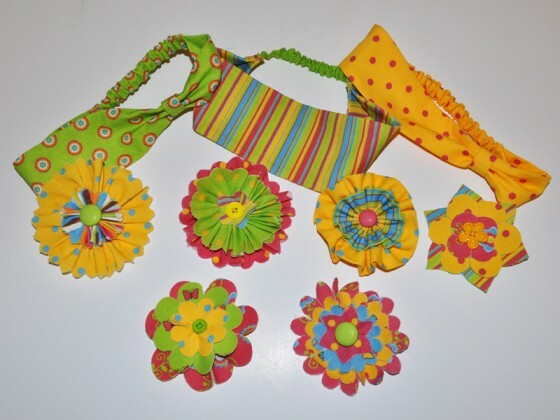 The flowers can be attached to the headband or glued to a hair clip and used alone as an adorable hair bow. The Darling Dahlia Cloche Hat is so perfect for your little girl (or you) to wear for just about any occasion. 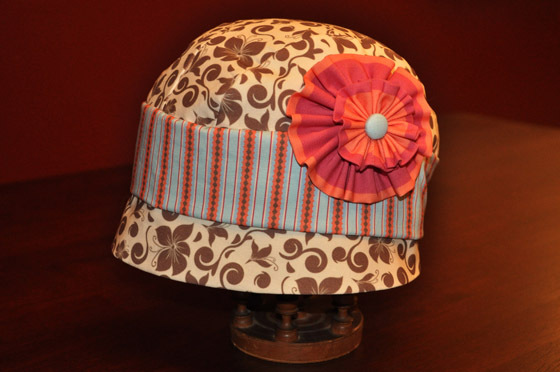 The pattern comes in 7 sizes to fit head sizes from 16.5″ to 23.5″. Get this look pictured left, by bundling sewing patterns: Pants/Capri S104, Pillowcase Dress/Top S102, and Darling Dahlia Cloche Hat S106. 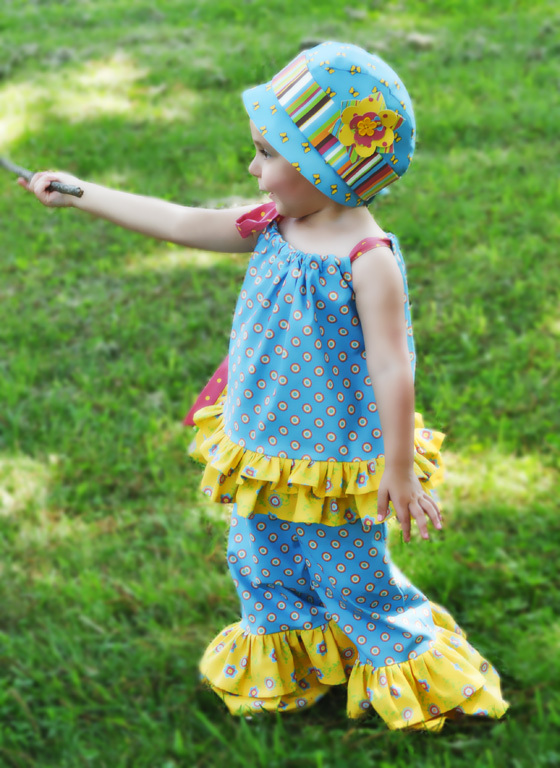 Top and pants patterns include children sizes 1-6, so as your child grows, you can use your patterns to create fun and unique fashions for many years. Use the different style options included with each pattern to create a mix and match wardrobe for your child. You can also find the Cloche Hat at my Spoonflower shop as a Cut and Sew Design or read more about it at Cut and Sew Cloche Hat. 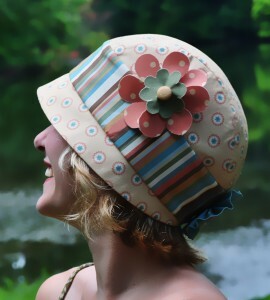 Here is a Cloche hat I recently made for my mom from my Retro Garden Naturals and Retro Garden Naturals Companion Fabric collections. The colorway for these fabrics is a selection of lovely quiet earth tones that work well for many sewing projects. Want this look? 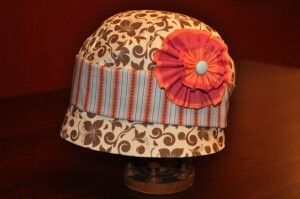 Check out this link to the one yard fabric panel used to create this hat: Cloche Hat Naturals Fabric Bundle. 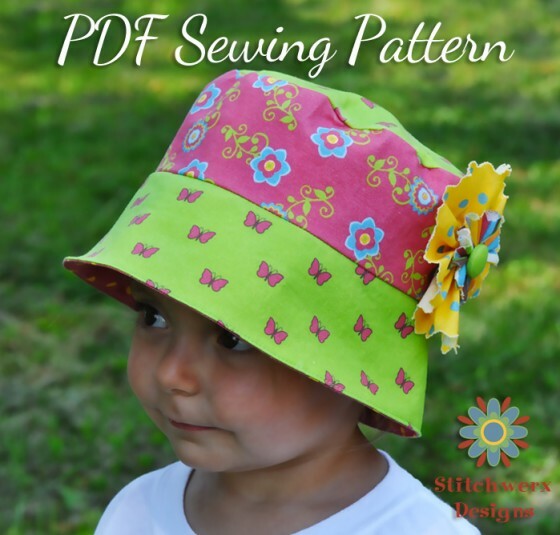 This little Bucket Hat is so cute and easy to make! (There are only 3 pattern pieces.) Autumn looks great in hers, whether she is playing outside or hanging out at the beach! 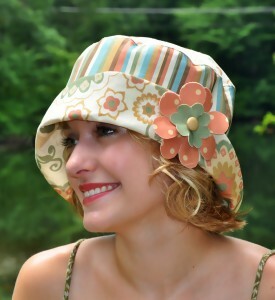 Get a variety of looks by turning the brim up or down, or adding a floral embellishment. Just like the Country Garden Headband, the Summer Days Bucket Hat pattern comes with six different flower designs to help add versatility to your head wear creations. Stop by the Stitchwerx Designs Etsy Shop to learn more about these great accessory patterns and stop by the Stitchwerx Designs Spoonflower Shop to view and purchase my original fabric designs. I’ve recently put together several one yard fabric bundles that work perfectly for sewing headbands, hats or other crafty projects you have in mind. 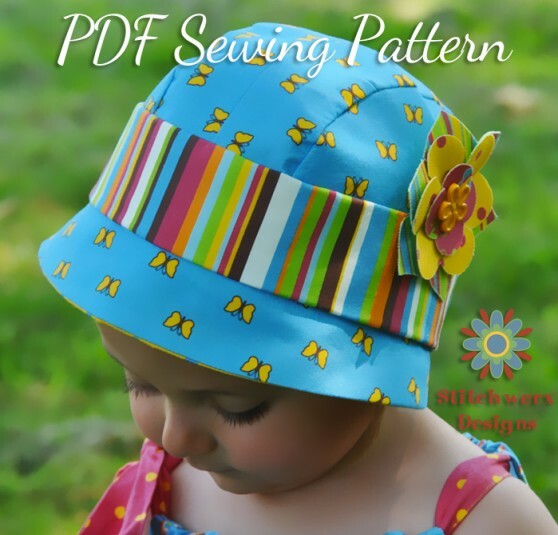 This entry was posted in Accessories, Hats, Kids Clothes Patterns, Sewing, Sewing Patterns and tagged bows, bucket hat, bucket hat sewing pattern, cloche hat, cloche hat sewing pattern, girls hats, girls headbands, hat sewing pattern, headband sewing pattern, headbands. Bookmark the permalink.